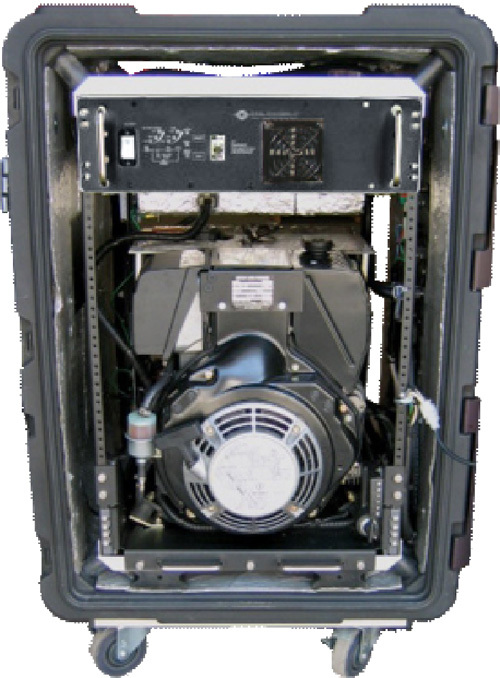 ETI offers various diesel fueled portable generators as part of it's packaged power solutions. Power rated from -25°F to 125°F and 100% humidity at 4000 feet elevation. Internal fuel tanks provide hours of operation at full load. 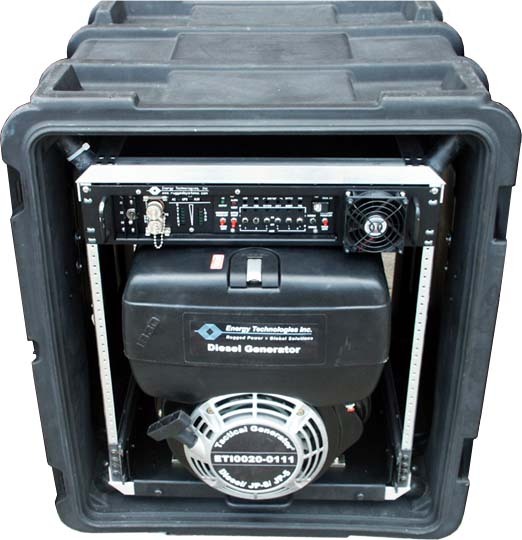 Standard output is a true sinewave 120 VAC, 60 Hz, 1250 watts continuous duty. Multiple unit parallel operation capability.